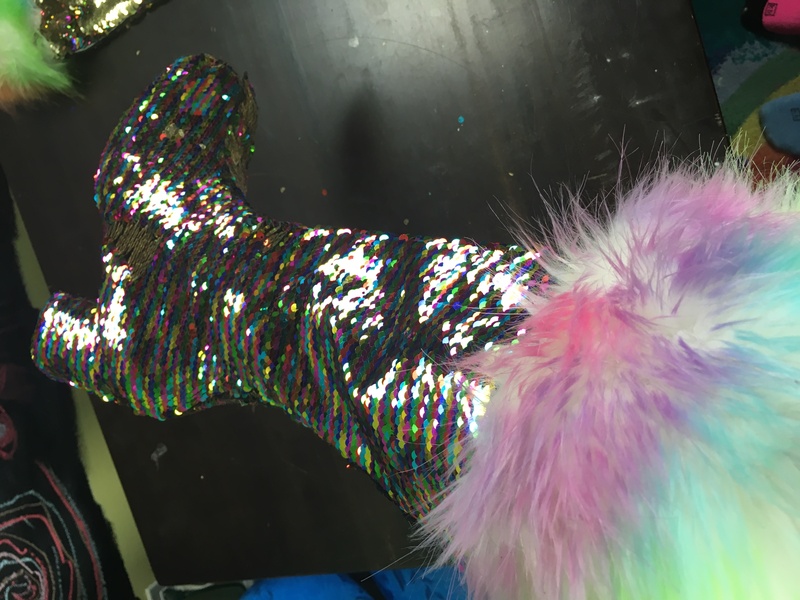 Rainbow Two Tone Sequin Fur Boots! 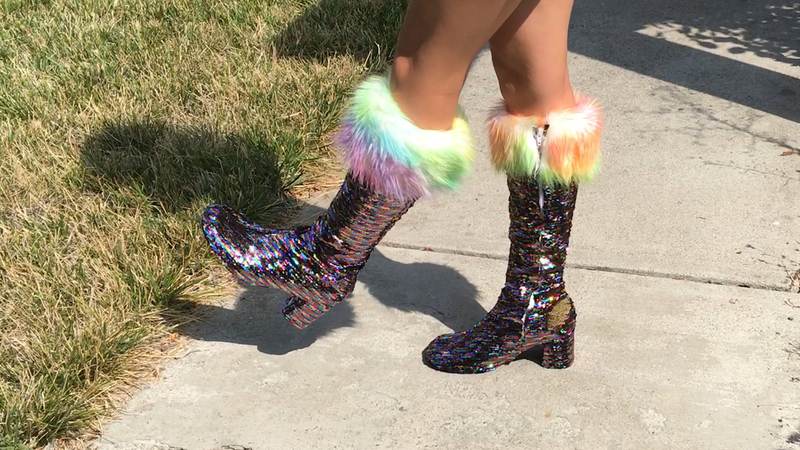 Category: fashion. 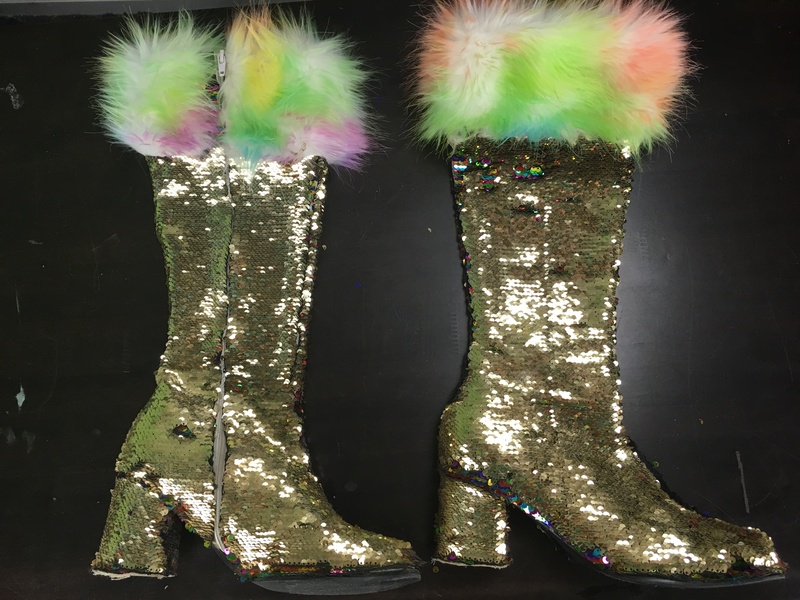 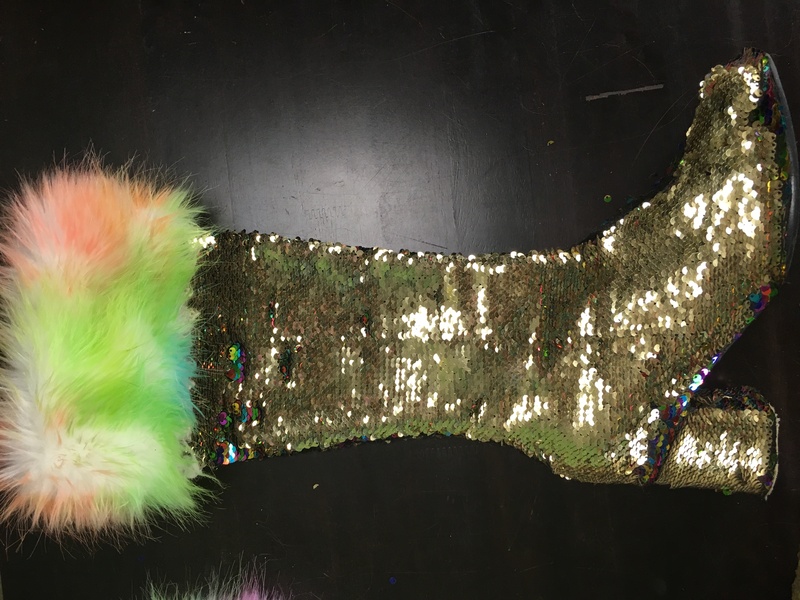 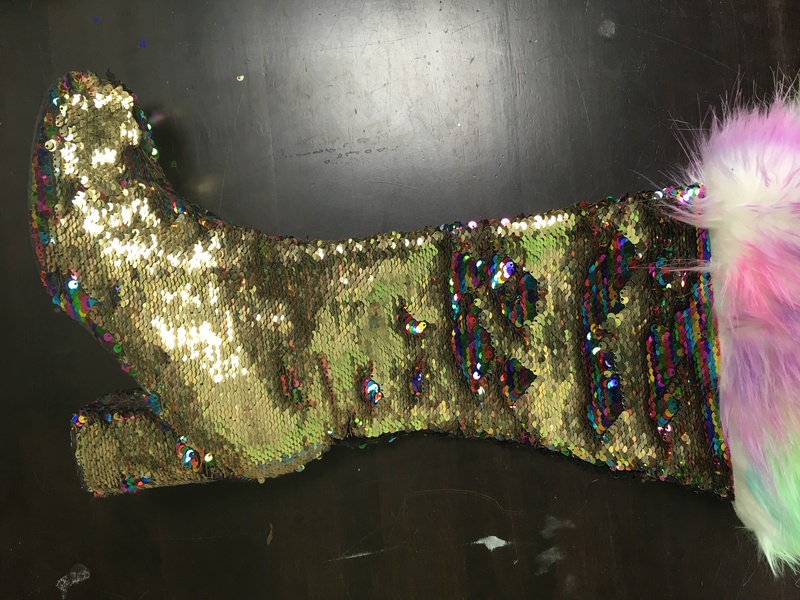 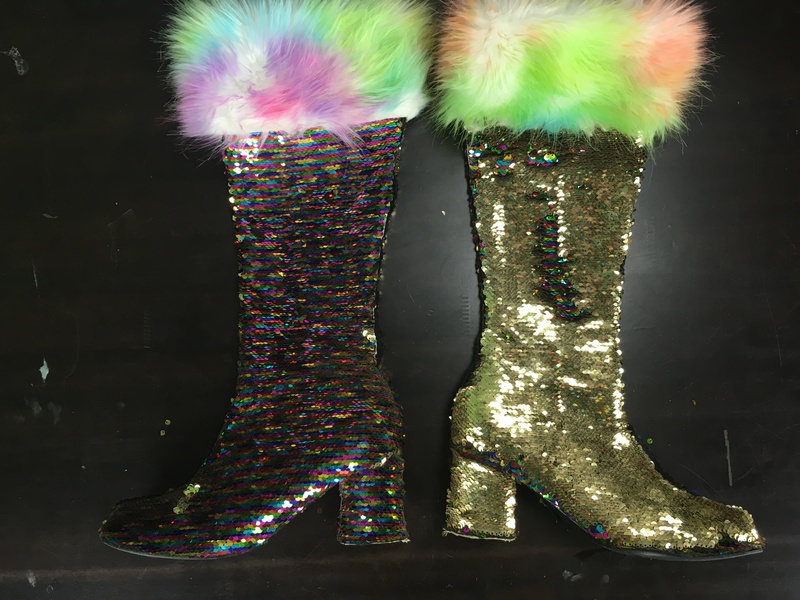 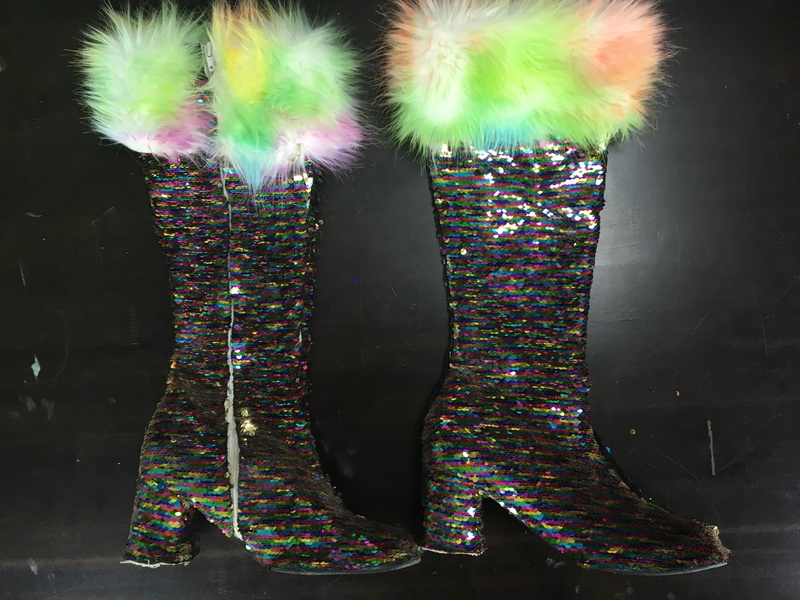 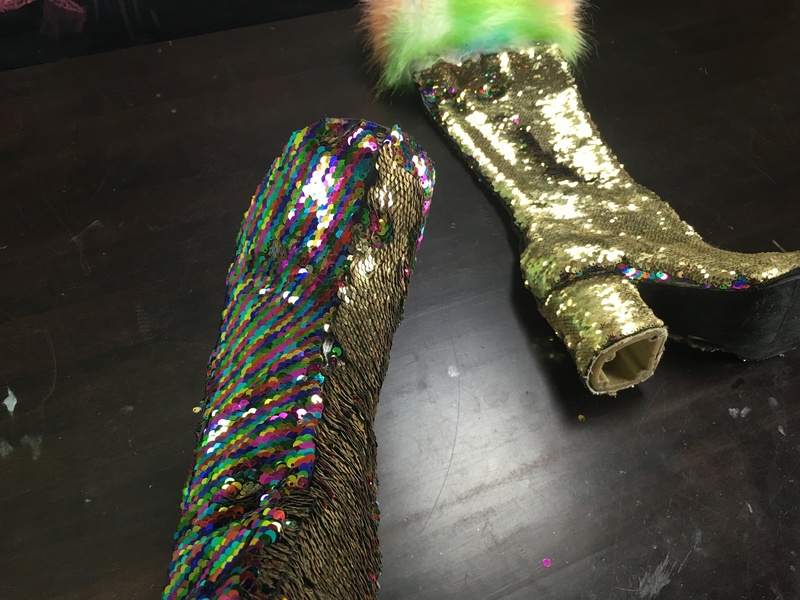 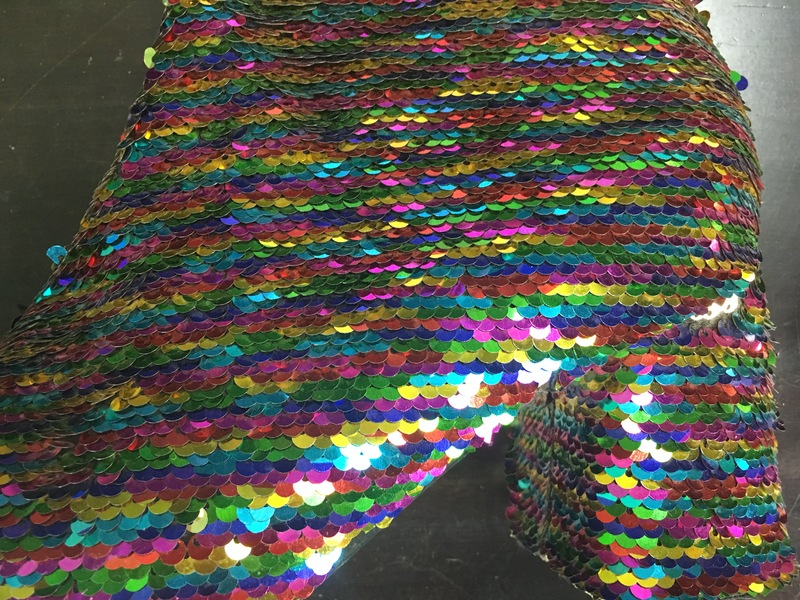 Tags: boots, color changing boots, color changing sequins, faux fur, flip sequin, flip sequins, fur, fur boots, handmade boots, rainbow, rainbow boots, rainbow faux fur, rainbow fur, rainbow shoes, reversible sequins, sequin, sequin shoes, sequins, two tone sequin, two tone sequins. 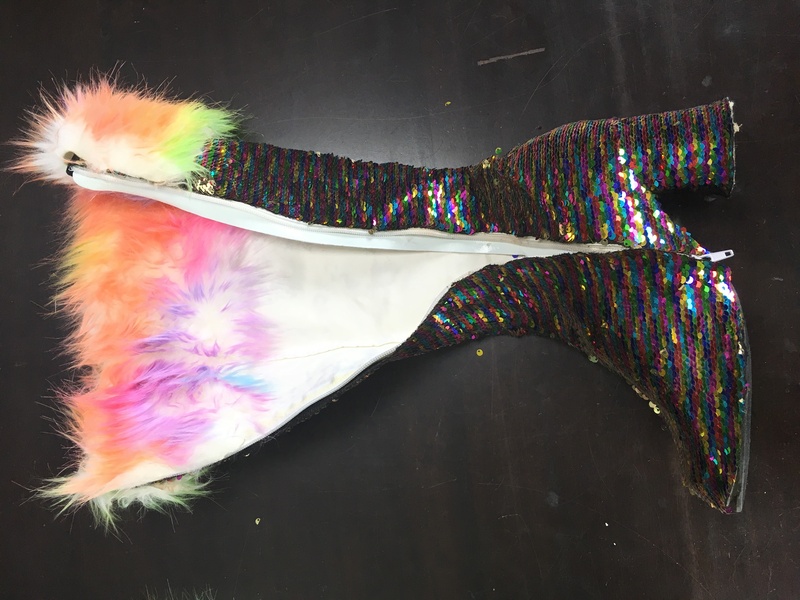 Rainbow faux fur on the top of the boots, and rainbow color changing sequins on the rest! 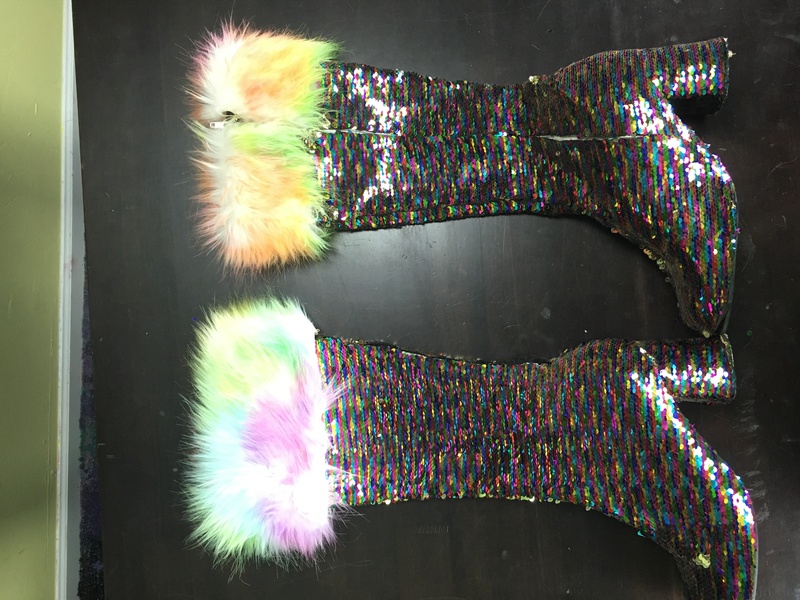 The boots are about size 9 or 10 womens. 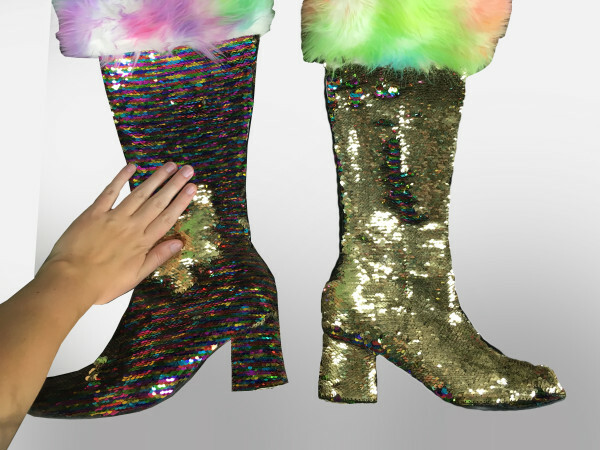 They are meant for someone with skinny legs and big feet! 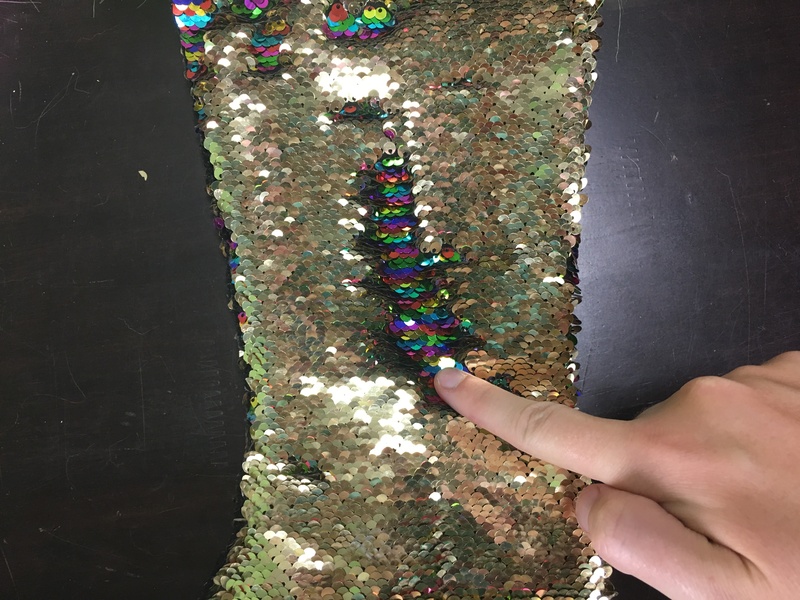 They have a functional zipper on one side, and a slight high heel. 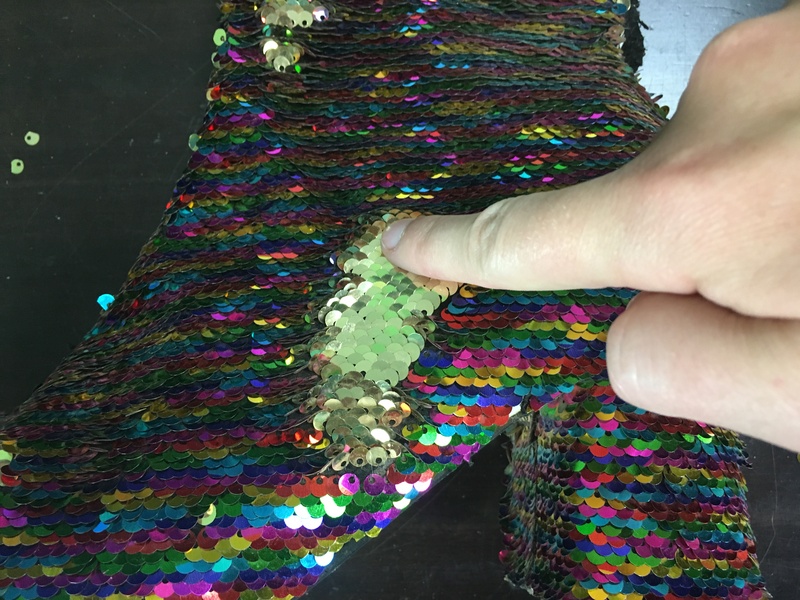 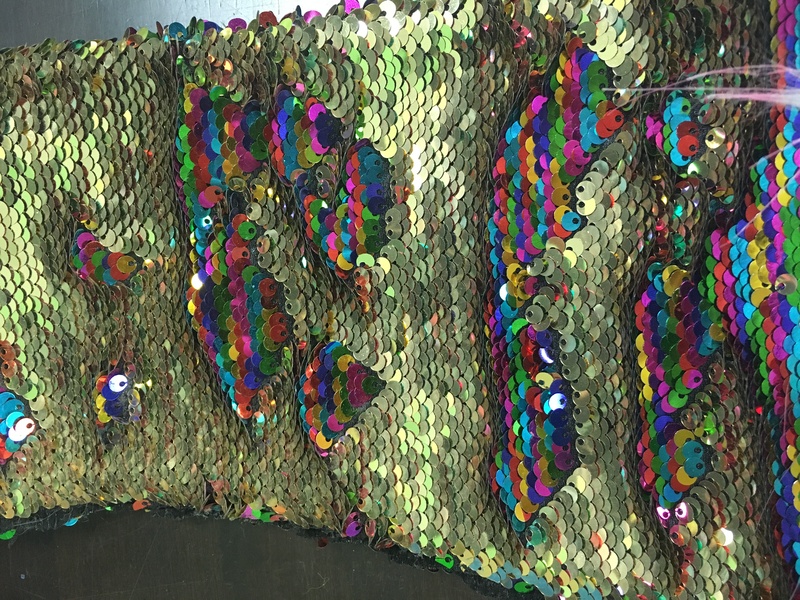 The sequins are rainbow on one side and gold on the other. 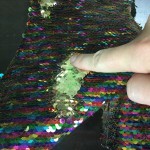 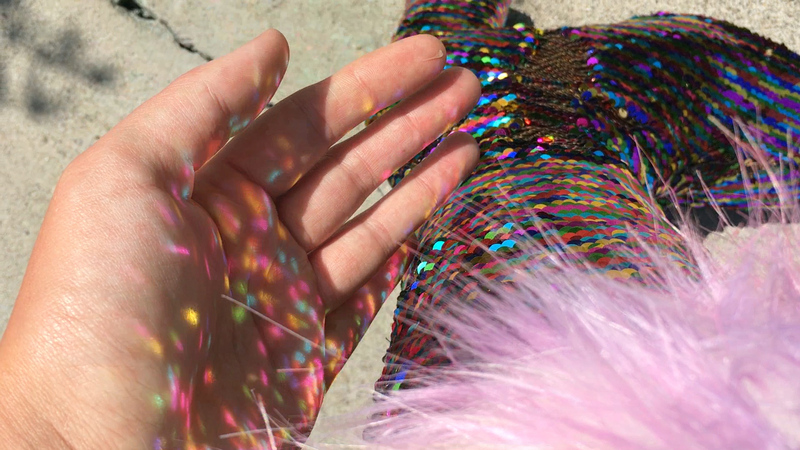 Swipe your hand across the sequins to change the color! 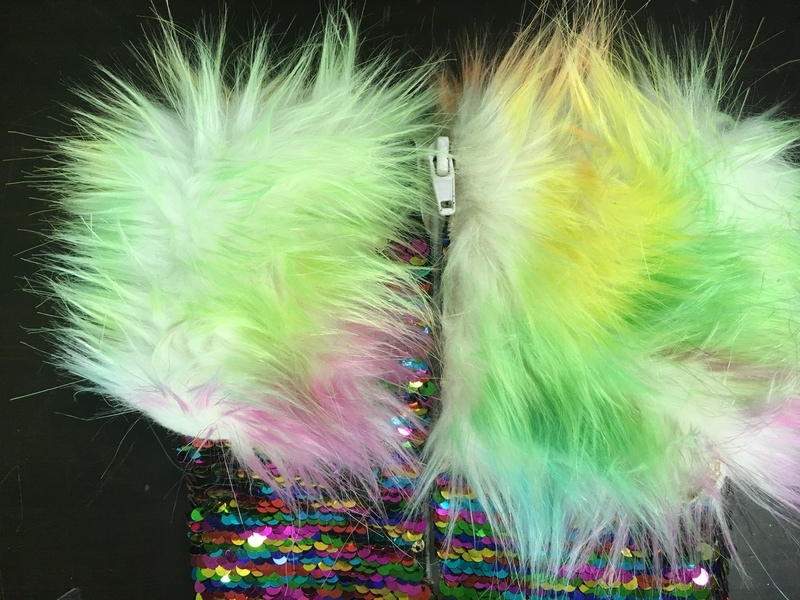 The rainbow fur is nice and soft. 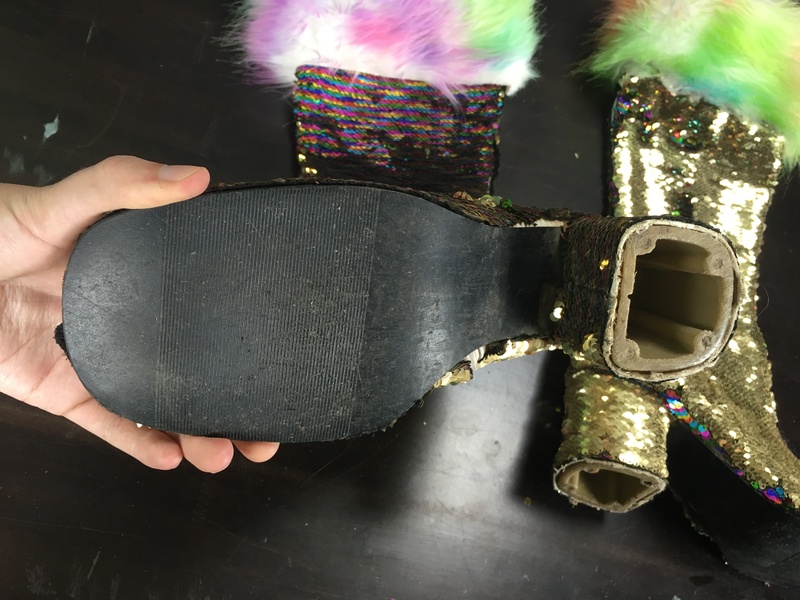 *On one of the boots, the gap in the fur for the zipper is slightly bigger than on the other boot.